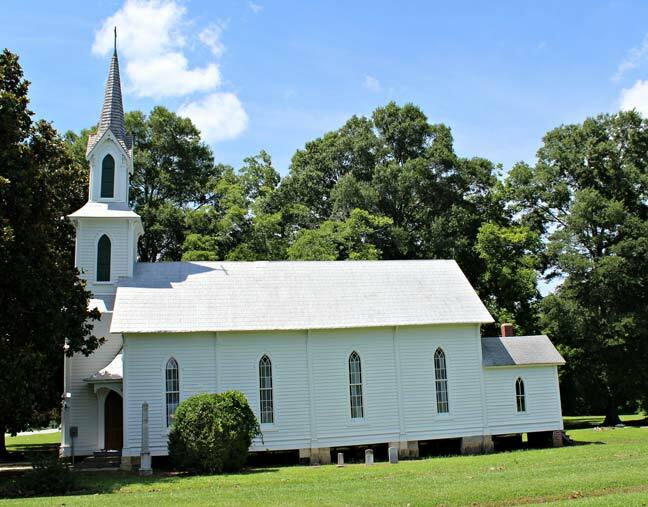 St. Martin’s Episcopal Church was established as a missionary station in 1868. The present structure was built in either 1879 or 1880. All materials were produced locally except for the bell and stained glass which were imported from England. 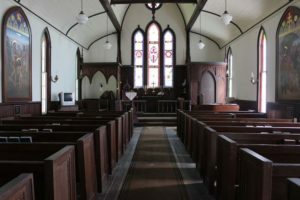 The congregation has been inactive since the 1960s, but the building remains consecrated and its preservation is handled by the Historic Hamilton Commission, Inc. The property for the church was given by Col. Henry B. Short in 1879. The contract for the construction was drawn in the spring of 1881. 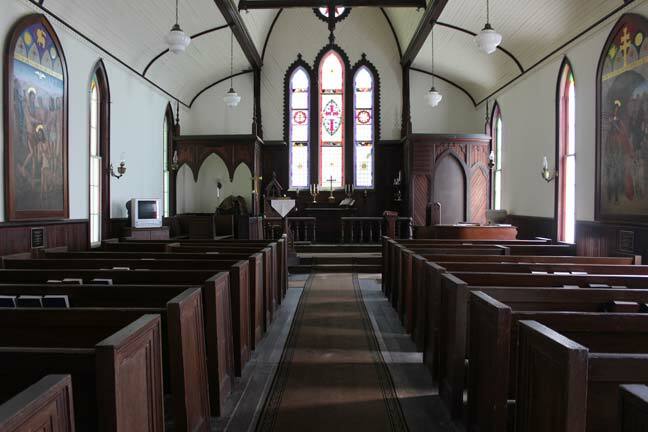 The building was consecrated on May 17, 1882. The Episcopal community in Hamilton was established as a mission out of Williamston in 1868 primarily through the efforts of Mary Anne Boyle (1813 – 1887). The congregation first met in the Conoho Masonic Lodge. Ms. Boyle and her family came to Hamilton during the Civil War and eventually established a saw and shingle mill. She was also the owner of a hotel in the Waldo-Darden House. The frame Victorian Gothic design was contributed by P.C. Hull of Norfolk and was probably modified by the carpenters, church members, and brothers David L. and James H. Martin. The facility is still used for a special Christmas Mass to this day. To make an appointment for entry, call 252-798-5561.